Swift Proofreaders has created this privacy statement in order to demonstrate our firm commitment to privacy. This document discloses our practices regarding collection, use and disclosure of information collected through or in connection with Swift Proofreaders Corporate website. By using this website, you agree to the terms of this Privacy Statement. 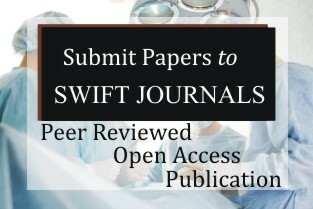 Swift Proofreaders may request users of her Site to provide personal information such as the user's name, e-mail address, postal address, academic affiliations, principal professional field, etc. We will seek your consent prior to using your personal information in a manner incompatible with the purposes we described in our Privacy Statement at the time of collection. You may choose not to provide any personal information to Swift Proofreaders, in which case we will be unable to provide services to you. Swift Proofreaders uses your information collected to complete and support the activity for which the information was provided such as delivery of our products or services; processing or fulfilling an order; responding to your requests or inquiries; and Communicating with you about changes or updates to the Site and our products and services as well as special offers, promotions or market research surveys. Swift Proofreaders does rent or disclose your personal information to third parties unless required by law, court orders, or legal process, or to establish or exercise our rights to defend against legal claims; if we believe it is necessary to investigate, prevent, or take action regarding illegal activities, suspected fraud, safety of person or property, violation of our policies. Your personal information is restricted to and can only be accessed by our employees, representatives and service providers, for the purposes set forth above. Swift Proofreaders accepts payments for services offered to clients through an online e-payment system by a third party online payment processor. We offer refunds of payments within 7 working days after payment by a client if he/she decides to withdraw from our services and apply for a refund. Clients are to send refund application mails to accounts@swiftproofreaders.com. It is the policy of Swift Proofreaders to send our business partners e-mail throughout the publishing process and other e-mail they elect to receive, in addition to customary business communications (payment confirmations, etc.). Swift Proofreaders processes personal information only for the purposes it was originally collected and in accordance with this Privacy Statement. Swift Proofreaders takes commercially reasonable steps to ensure that the personal data is relevant, reliable for its intended use, accurate, complete, and current for the purposes for which it is used. Swift Proofreaders retains information for as long as reasonably required for business purposes or as reasonably required to comply with our legal obligations. Swift Proofreaders retain the personal information we collect from you for as long as the information is relevant to our business purposes or until you request that we remove the data.